How many premiership players are on your club's list? How many premiership players are at your club? JUST three clubs will go into season 2019 without a single premiership player on their list. While expansion side Gold Coast is unsurprisingly one of the trio, finals contenders Adelaide and North Melbourne also join the group. The Crows still have 20 of the 22 players who featured in their 2017 Grand Final loss on their books, but none of them is yet to play in a premiership-winning side. CLUB LISTS COMPARED Oldest? Youngest? Most experienced? Port Adelaide's list was also close to being without a premiership player, but is one of three clubs with just a single flag winner to its name having recruited West Coast's 2018 premiership ruckman Scott Lycett during last year's NAB AFL Trade Period. Carlton (Dale Thomas) and Essendon (Jake Stringer) are the other clubs with just one premiership player on their 2019 lists. Hawthorn, which secured four flags between 2008 and 2015, has the most premiership players on its 2019 list having won 35 premierships between its 46-man group. Jarryd Roughead, Shaun Burgoyne and Grant Birchall are the four-time premiership players within Hawthorn's 2019 crop. A further six players on the list have won three flags each. Richmond has the next most premiership players in the competition, with all 22 of the club's 2017 premiership team remaining on its list going into this season. 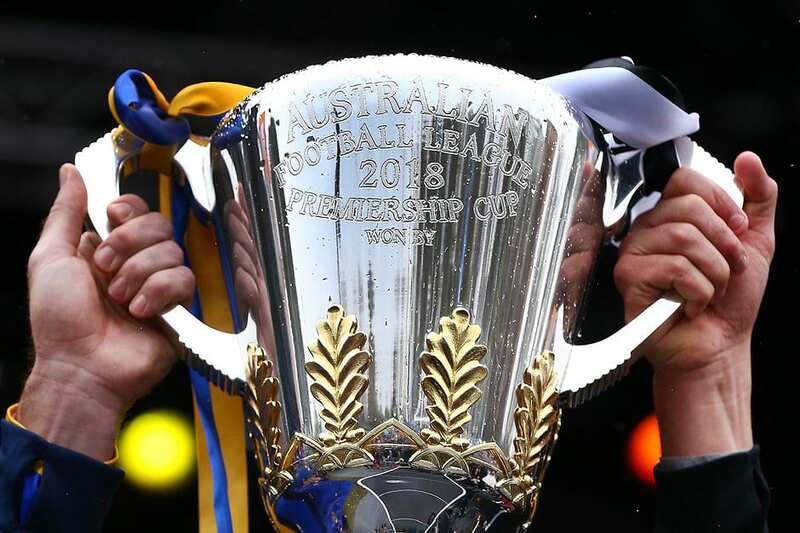 West Coast is next in the queue, having lost just one premiership player from its successful 2018 team following Lycett's move to Port Adelaide. The Western Bulldogs have 19 premiership players, while Geelong is the only other club in double figures with 11 premiership players going into season 2019.